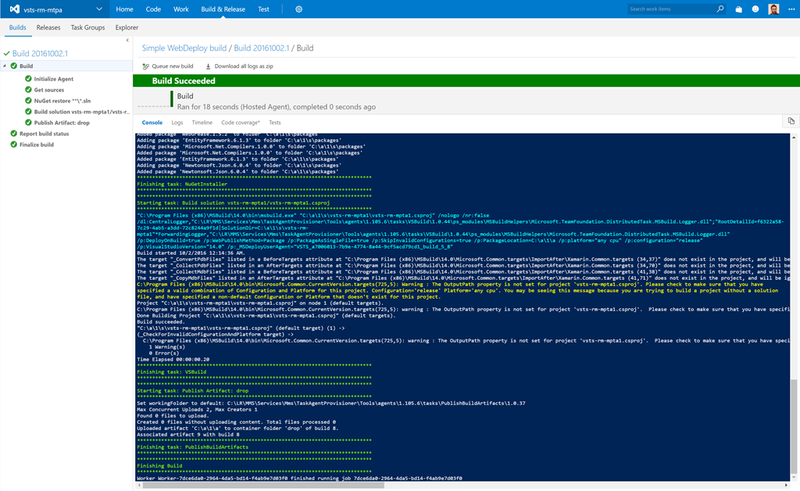 I’ve been doing a whole lot of work with Visual Studio Team Services, formerly Visual Studio Online, and making heavy us of the Release Management feature as I discussed recently on the Microsoft Cloud Show Episode 146. 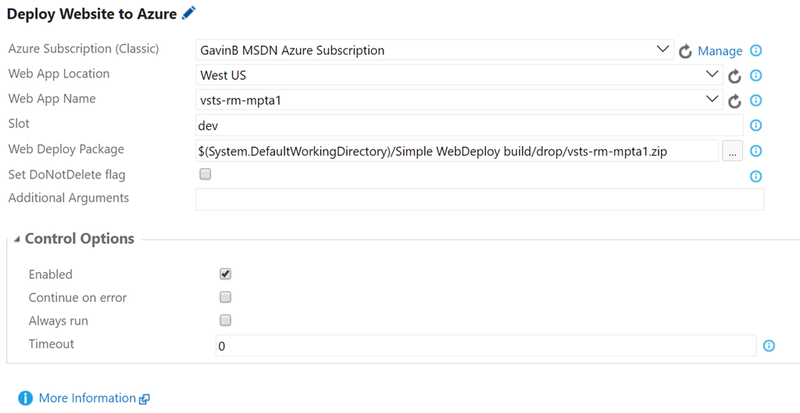 An Azure Web App with at least a Standard license and a second deployment slot configured in your subscription. So, you might need to get a few of those sorted out, don’t worry you can pick back up here once you have those 5 things. 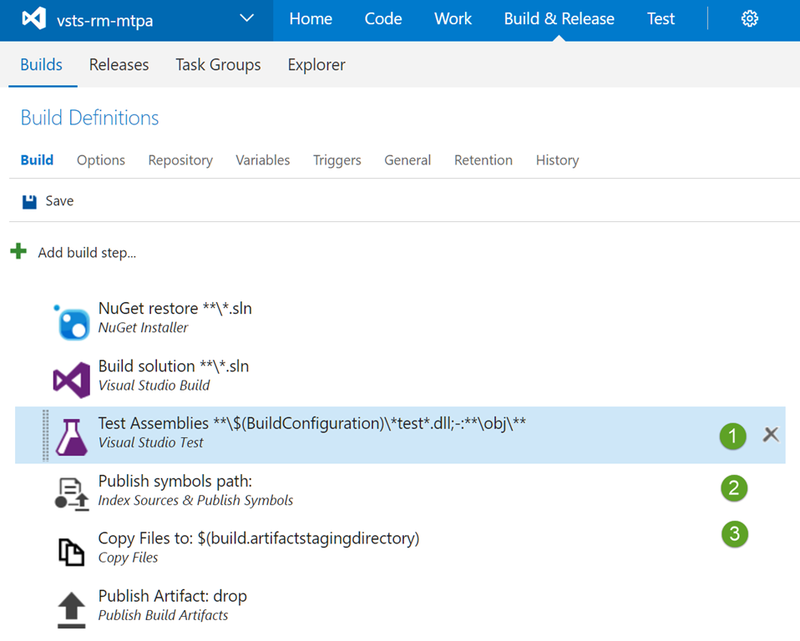 Get the code into a VSTS Team Project backed by git. 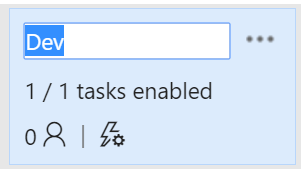 I suppose if your really wanted to use TFS the steps beyond this one would all be the same too…..
You’ll note that I didn’t mention Visual Studio. So that’s not a blocker for you I’ve put that code together, if you want to use your own project, great, infact I’d prefer it but I need code to build this so I just went File > New > Project > ASP.NET 4.6.2 Web site > SPA and pushed all that to github. Fire up your command prompt of choice. I personally use PowerShell with PoSHGit installed. Then clone the sample repo locally. Now we need to get this code into your VSTS team project, If you click on the Code tab in the VSTS UI you’ll be presented with a page that helps here if there’s no code in there. 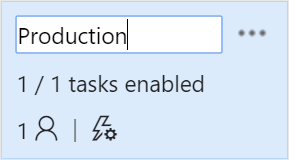 So you can just copy and paste those from your VSTS instance. 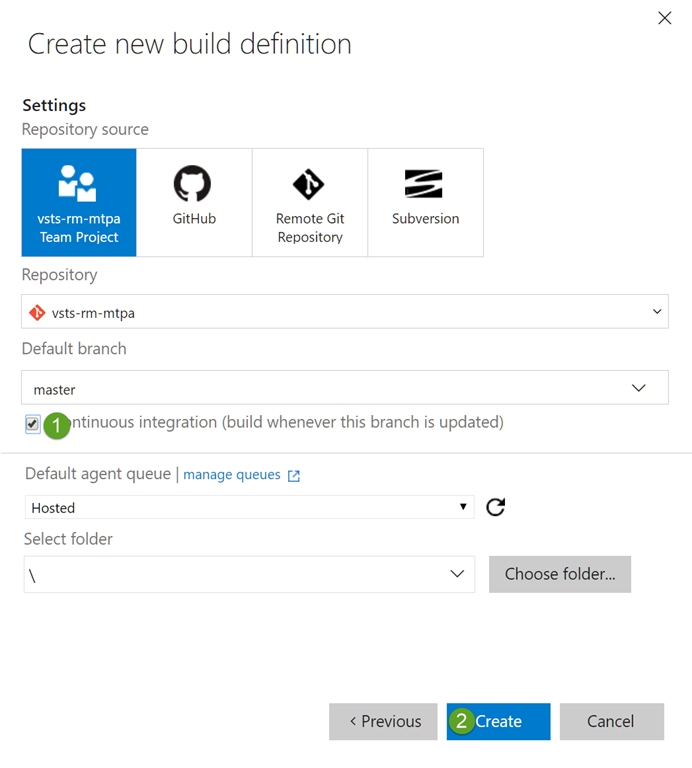 These commands establish the link between your local repository and the one that backs your VSTS Team Project and push the code from all branches in the local repo to the remote repository called origin. Note the name origin is a commonly used convention, if you really wanted to that remote could have the name Slartibartfast. 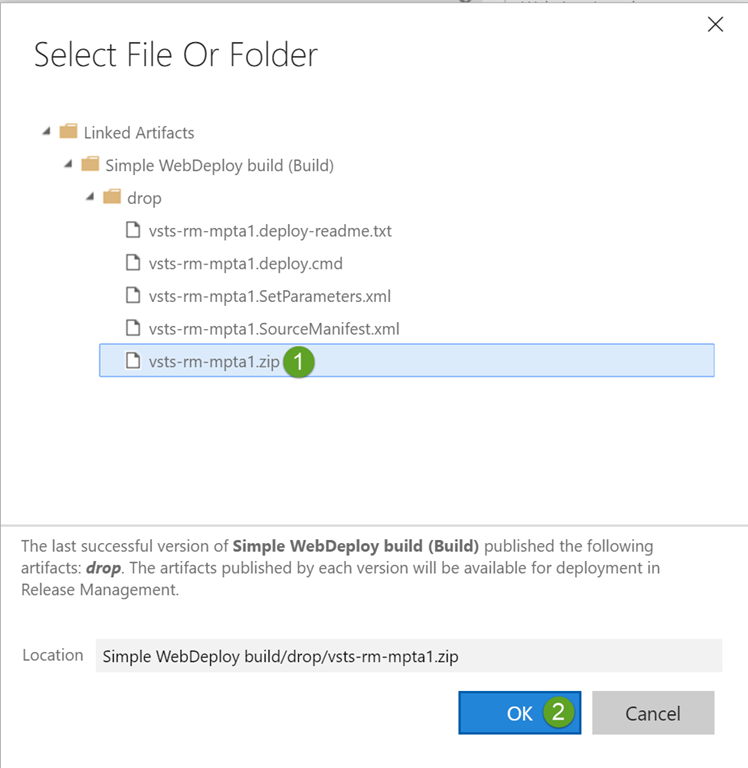 Now the code is being in your VSTS repo, let’s create a simple build process. Set up a simple build process. We’re going to configure the most minimal build process possible. This is not what you should be doing in the real world. For a real project I’d at the very least have task in our process to run unit tests. I’m deliberately omitting that step for the sale of brevity. 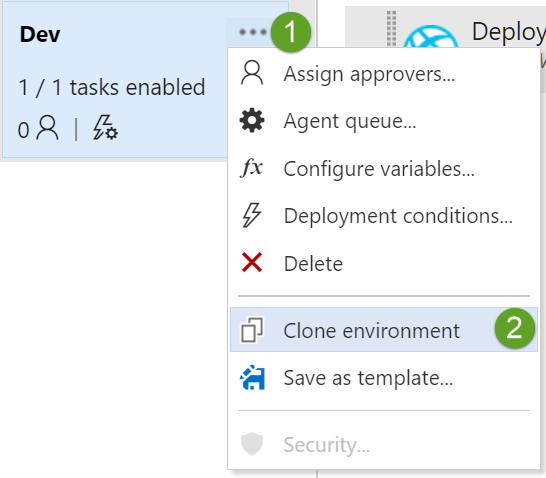 Note that your VSTS instance may still have the older top navigation that has Build and Release as separate entries at the top level. 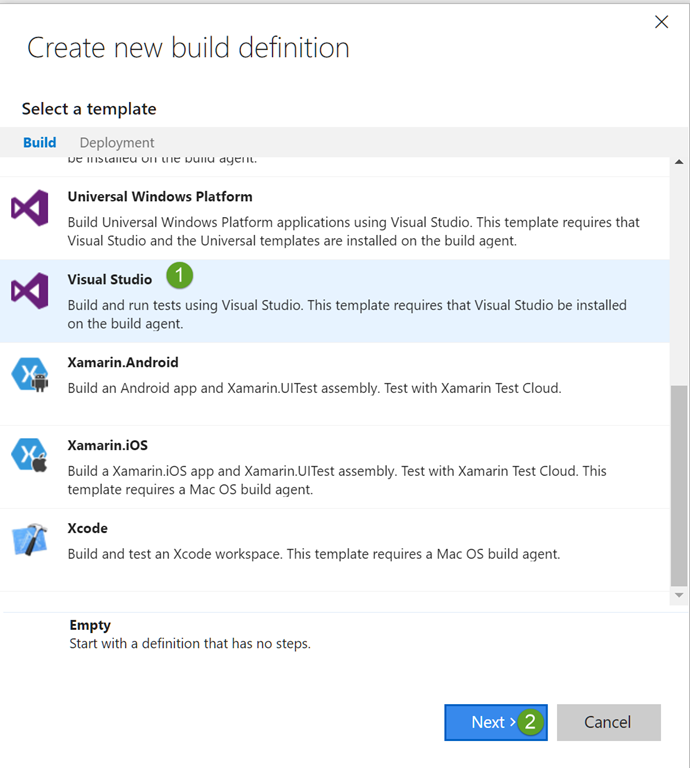 Choose the Visual Studio base template as this give us most of what we want and click Next. You can choose to make this build a CI build so that is kicks off every time your commit changes to your repository by checking the box as I have, this is optional though. Then click create. Now that we have a base let’s set up our build. First of all delete the Test Assemblies, Publish symbols path and Copy Files to tasks. 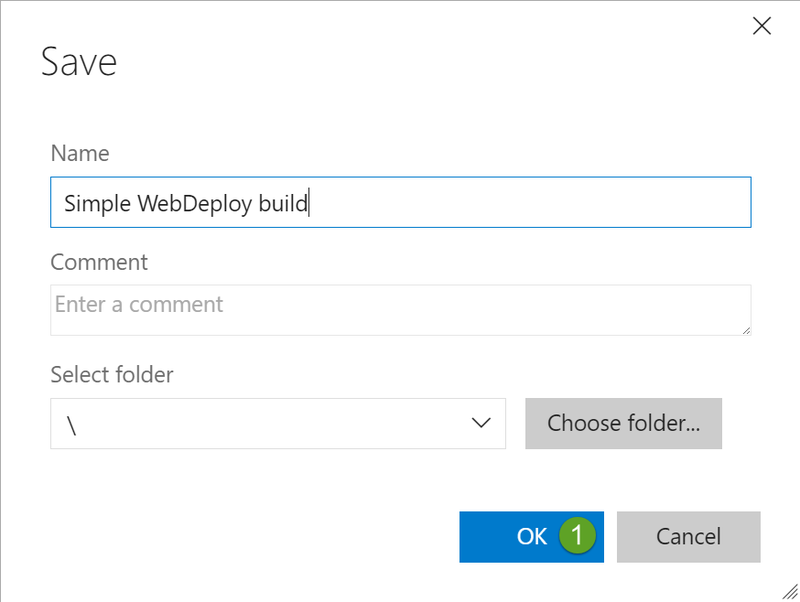 This creates a web deploy package which we will use in the release process writing it directly into the folder which is used in the Publish Artifact task. 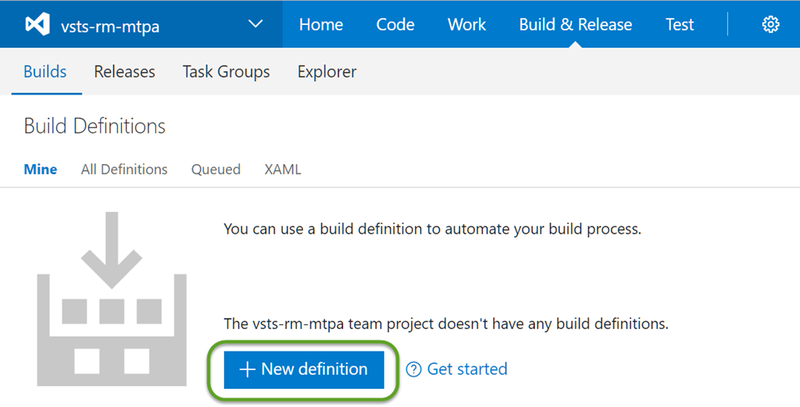 Click on the Variables item in the Build Definition navigation. 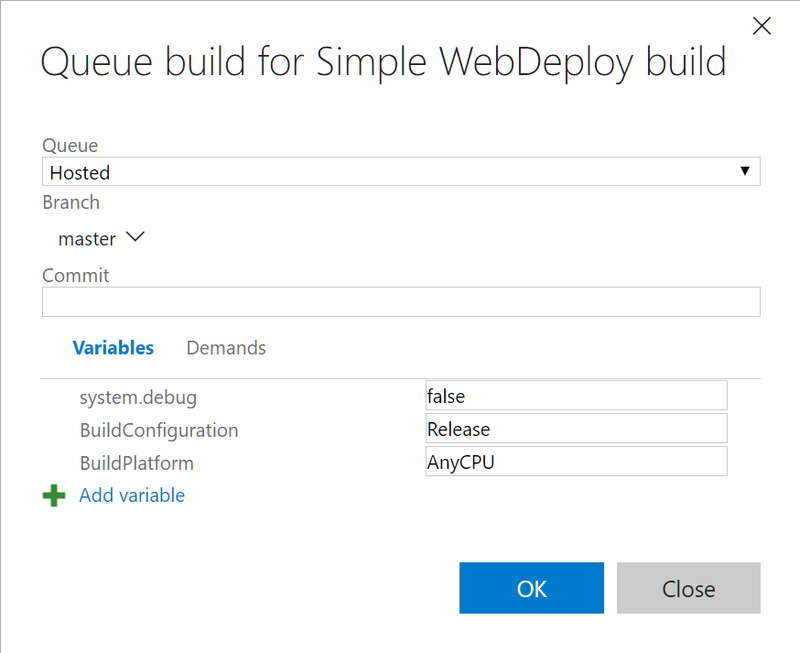 Give your new definition a name and click OK.
Click the Queue new build button to test out the build. Excellent, we have a web deploy package ready to push out to our website. In the top navigation click on the Services link in the hover menu under the cog. Note that if your tenant is using the old navigation then click on the cog and in the following page click the Services link in the top navigation. You could choose to use a Credentials based connection if you like, I prefer a certificate based connection as it’s not going to become invalid if the password of the user account used changes. 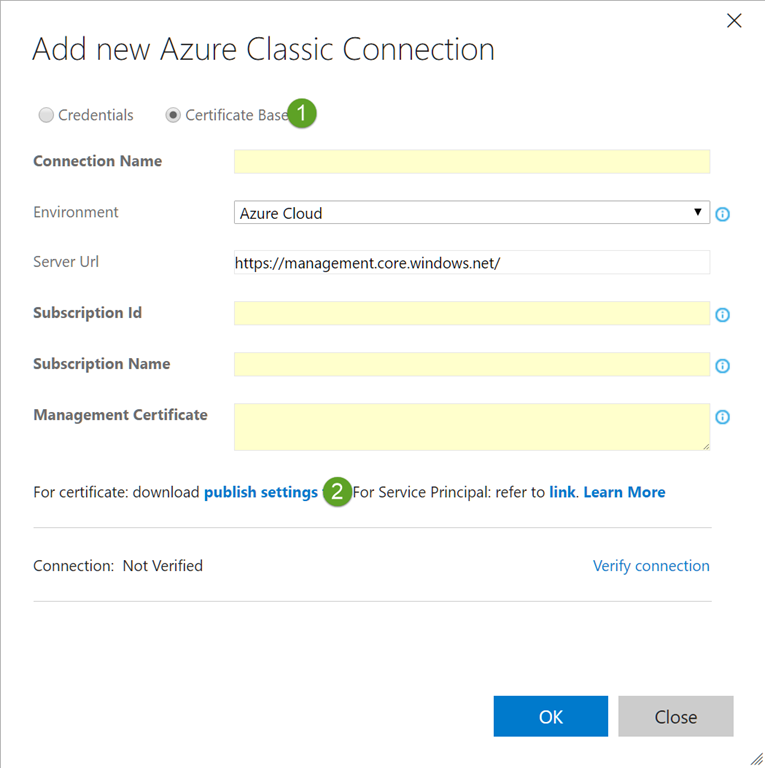 Select the Certificate Based Radio button and click on the publish settings link.You may need to sign in to your Azure account. 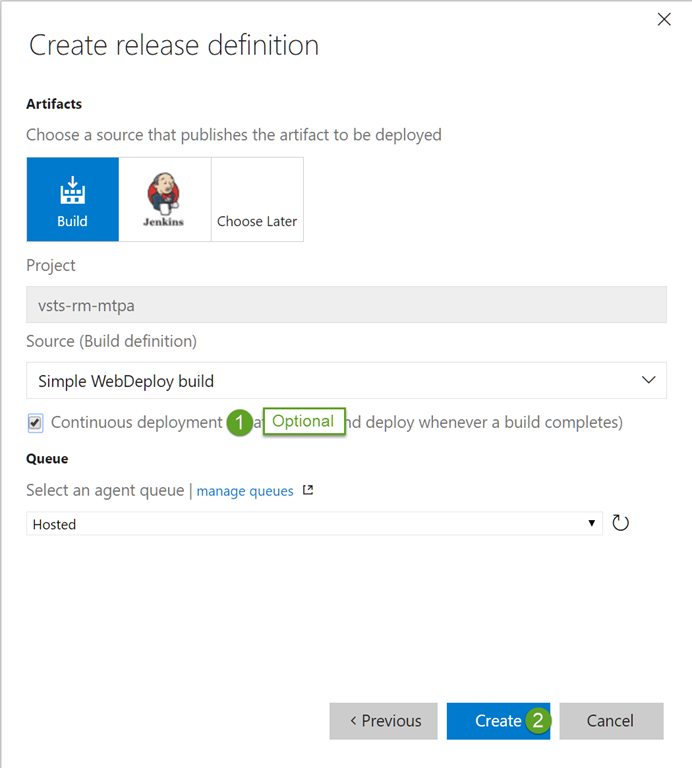 Open the .publishsettings file that downloads, copy over the corresponding values, click verify connection and once the connection is verified click OK.
Now with a connection established between Visual Studio Team Services and your Azure Subscription you’re ready to create a release process. 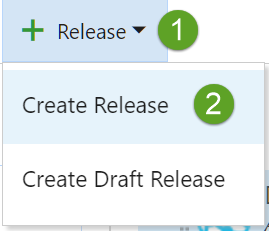 Click on Releases in the Build & Release hover menu, if your tenant is using the older menu this will be a separate entry in the top navigation. Click on the Pencil icon and give your release definition a new name. 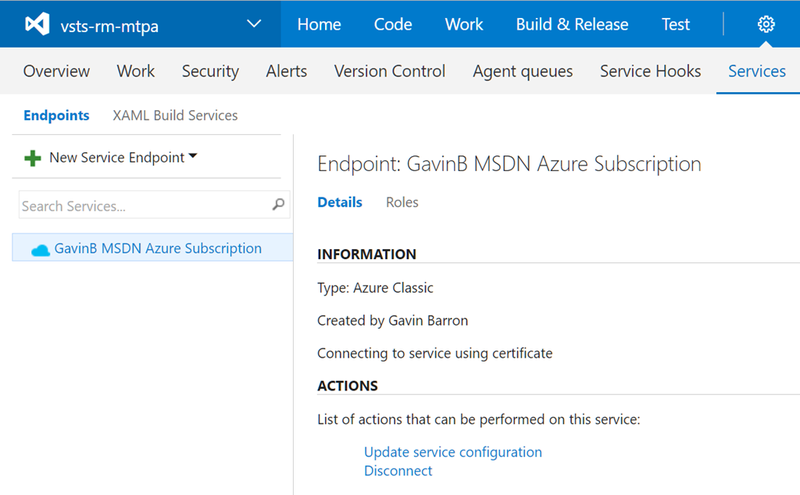 In the configuration pane for the Deploy Website to Azure task select your newly configured connection in the Azure Subscription (Classic) drop down. 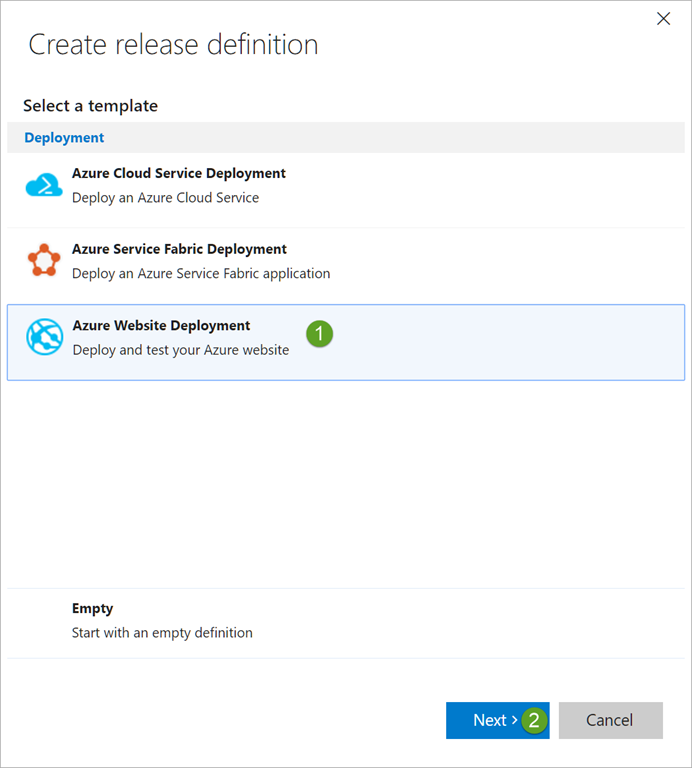 Choose the region that you deployed your target Azure Web App in. In the Web App Name type in the name of your Web App, the values that appear in the drop down are only the web site associated with the default service plan in the selected region so don’t be surprised if you don’t see the target website listed. Enter the name of the slot that you created when your set up your Web App. 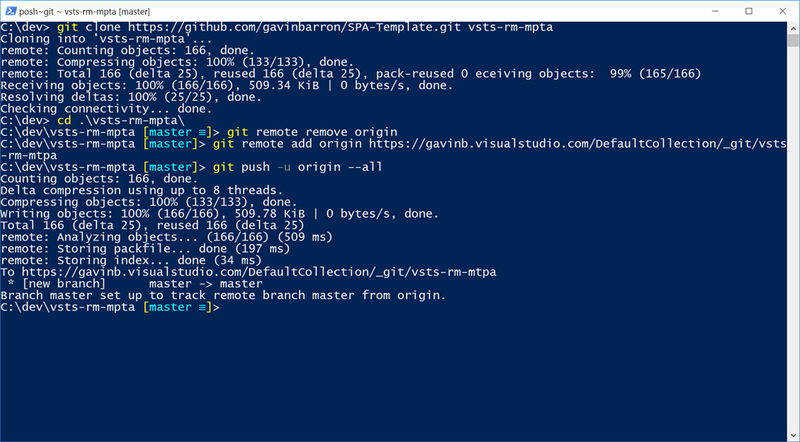 Use the file explorer to locate the vsts-rm-mpta1.zip file in the build output. Click Save and click OK in the dialog. 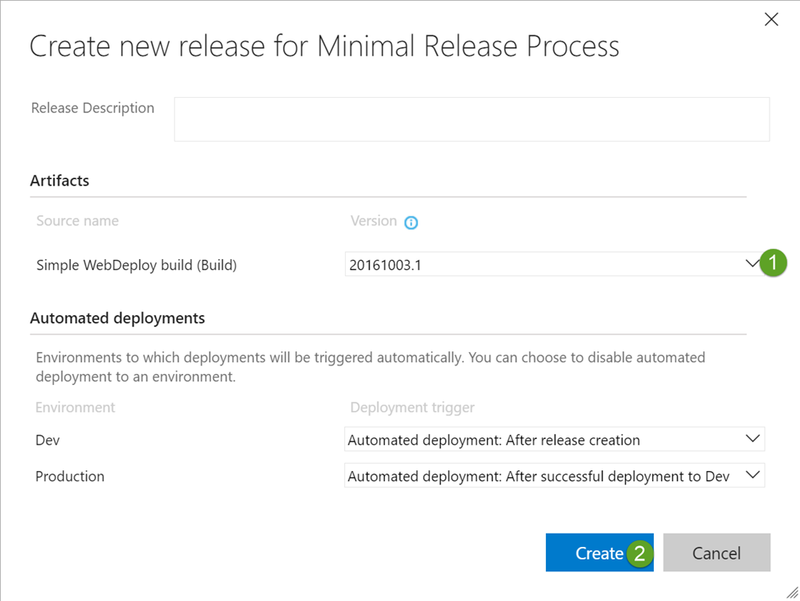 Select the version of your build that your want to deploy with this release. 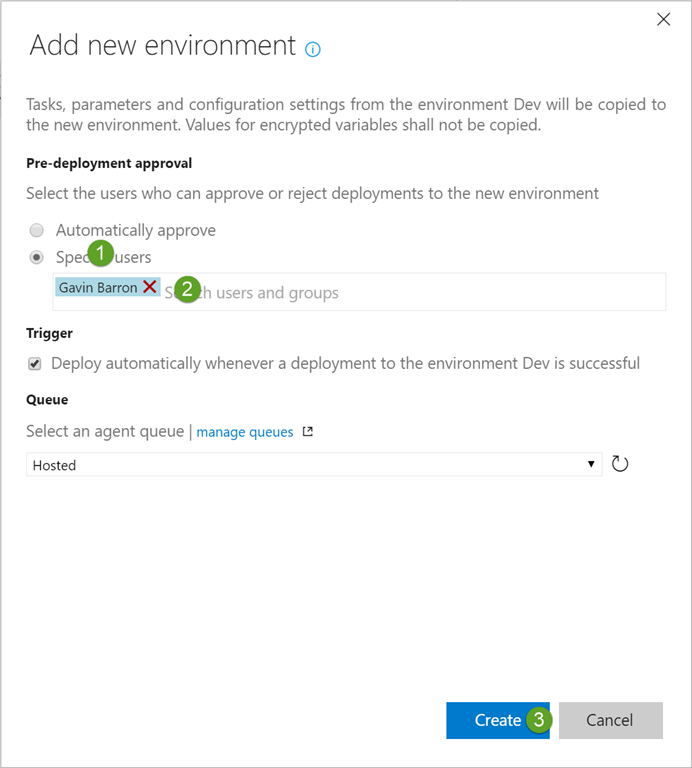 You can also see here that you can change the deployment triggers for each of the environments that you have configured, in this case we’ll leave the options as configured in the release process and click Create. Click on Release 1 to see this release in action. 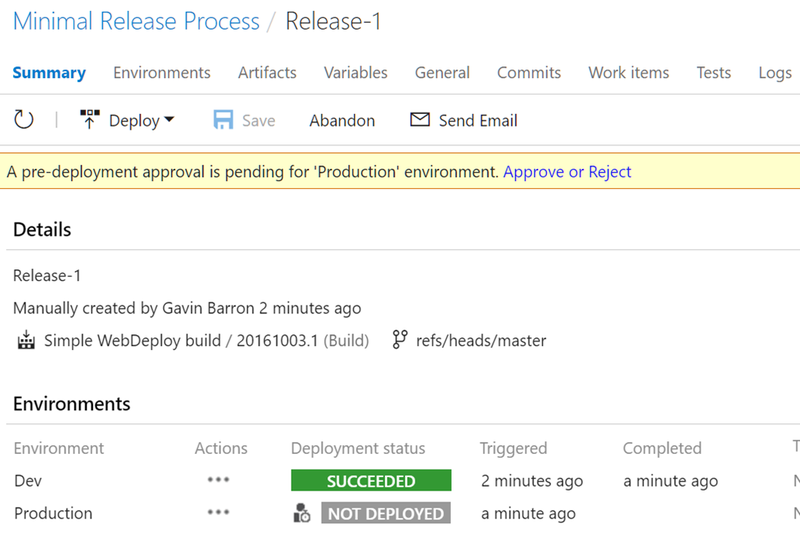 After the release into the Dev environment has succeeded you can see that there is an approval to deploy to production pending. 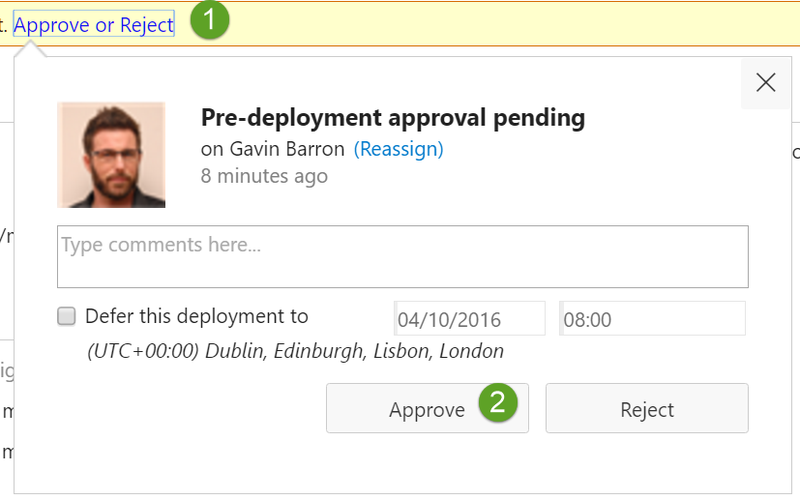 The users listed as approvers will also receive an email notifying them that there is a deployment pending approval too. 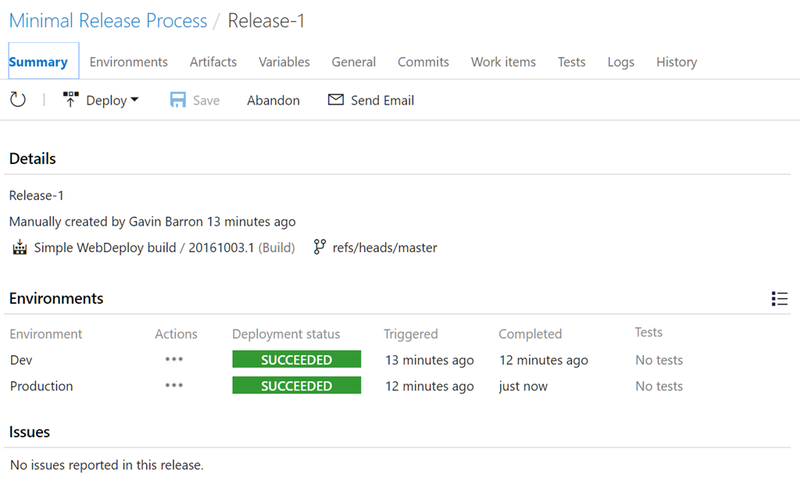 Congratulations, you’ve successfully configured a simple release process using VSTS Release Management. 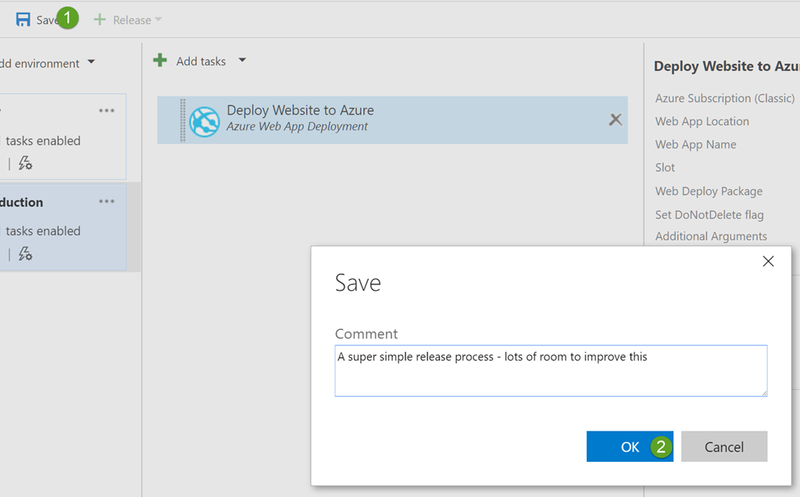 There are plenty of other ways that this could be configured, for example we could have our Production environment not use a web deploy task but run a script to swap the dev and production slots. 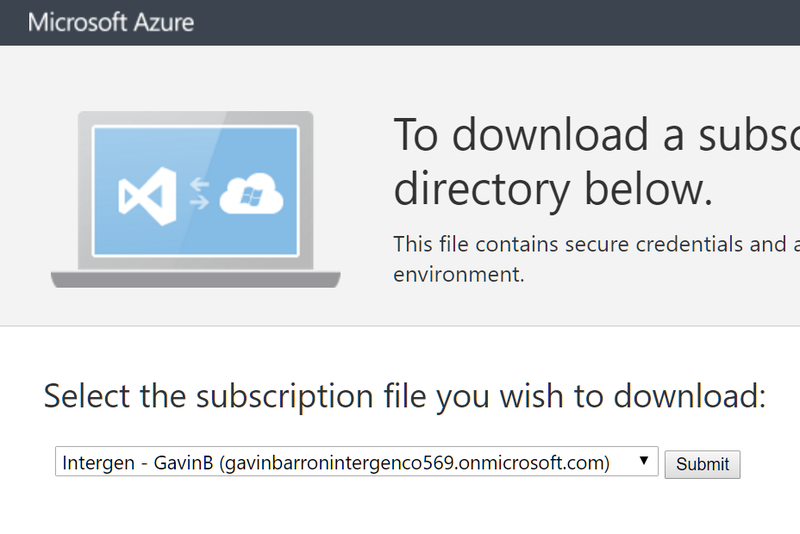 We could use Azure Resource Manager to provision or update our environments. We might want to set Application Configuration specific to the environment that is being deployed into. I’m planning on covering each of these three scenarios in future blog posts. Please let me know if you found this useful, if there’s anything that you think needs clarification or improvement. This entry was posted in Azure, Deployment, Development, DevOps. Bookmark the permalink.